Dr David Grimes: Why does the UK have General Practice / Family Medicine? Why does the UK have General Practice / Family Medicine? The pattern of medicine varies little around the world. There are doctors, nurses, hospitals, and community health centres or offices. Doctors work in hospitals as specialists, in the UK they are called consultants. Such specialists can also work outside the hospitals, usually in an office where they see only ambulatory patients. In the UK, virtually all specialists work in hospitals and very few are purely community based. In other countries most specialists will be community based. The most simple form of funding of medical care is via direct payment from patient to doctor. This might minimise surveillance by tax authorities, but it also means that access of the sick to health care is determined by their ability to pay. Health insurance means that people pay into a fund when they are well and working and use that fund to pay for health care costs when needed. Flat rate insurance, typical of “private insurance”, means that everyone pays the same irrespective of income, and premiums are likely to increase with age. Exclusions for cover are common. In advanced economies, especially those with well-developed taxation systems, it becomes possible to link insurance payment to income, and this becomes the basis of “social insurance”. The unemployed, children, and the retired will have health care free, paid out of the fund collected from those at work. Social insurance was first introduced by the German Chancellor Otto von Bismarck towards the end of the 19th century. It was popular and “just” and it became the pattern throughout Europe. In the UK the organisation of health care was different. The postgraduate training “system”, like in other countries, was to produce specialists who would work from an office consulting room and also in hospitals. They were based mainly in London but later in other major cities. Harley Street became the centre of medical consultation. This worked out quite well during the following years when medicine was not effective in therapy, although a great deal of learning was taking place. But the scene changed in the early 19th century with the development of the Society of Friends, the Quaker movement within Christianity. This movement started in the dales of the north-west of England. It was particularly associated with Pendle Hill, very close to where I live. 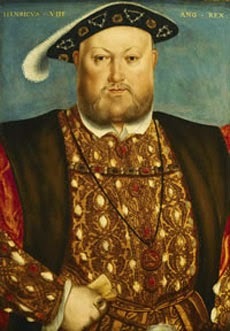 Education was favoured by the Quakers but as they were not not members of the established church, the Church of England, they were excluded from the universities of Oxford and Cambridge by virtue of their Charters, which were granted by King Henry VIII in the 15th century. The university education of the Quakers had to be provided overseas, in respect of medical education particularly at the University of Leyden in The Netherlands, a city university not a state university. Later the medical graduates of this university set up a medical school in Edinburgh. But Quaker doctors graduating in Leyden, and in Edinburgh, remained excluded from the Royal College of Physicians of London, also by its Charter granted in the 15th century. This exclusion had an important consequence as the hospitals of England used the fellowship of the Royal College as a requirement for the appointment of medical specialists so as to ensure quality. Quaker doctors, were therefore unable to obtain hospital staff appointments, and so they developed community based medicals services. This was a very important development away from the cities, and especially in the sparsely populated areas of the Yorkshire Dales. And so General Practice, family medicine, was founded, and as it was so useful to the population it became widely established across the UK. But because of the accidents of the political history restricted to the UK, there was no necessity for it to develop at the time in other countries. However family medicine has been introduced in many countries in recent years as it is felt to be both effective and economic. Payment for general practice care was initially by the sick at the time of illness, but most GPs adjusted this according to ability to pay. Many introduced a pre-payment system, a simple form of insurance which meant that the sick did not need to pay a health charge at the time of illness. In 1911 David Lloyd George, at the time the Chancellor of the Exchequer of the UK government, introduced social insurance for general practice care and it has continued since then. It is based on the payment for GPs being a capitation fee, a sum of money paid annually for each patient cared for by a given GP (on the "list"), irrespective of illness and frequency of visits. Hospital doctors vetoed the proposal to include hospital care as part of social insurance. GPs have become very much the cornerstone of preventative medicine, and family medicine has become much more than simply treating the sick. General Practitioners now have a great responsibility for controlling the budget of the NHS, including the financial allocation to hospitals. More detail on this subject and an understanding of why the UK has an NHS will appear in an eBook, to be published shortly.